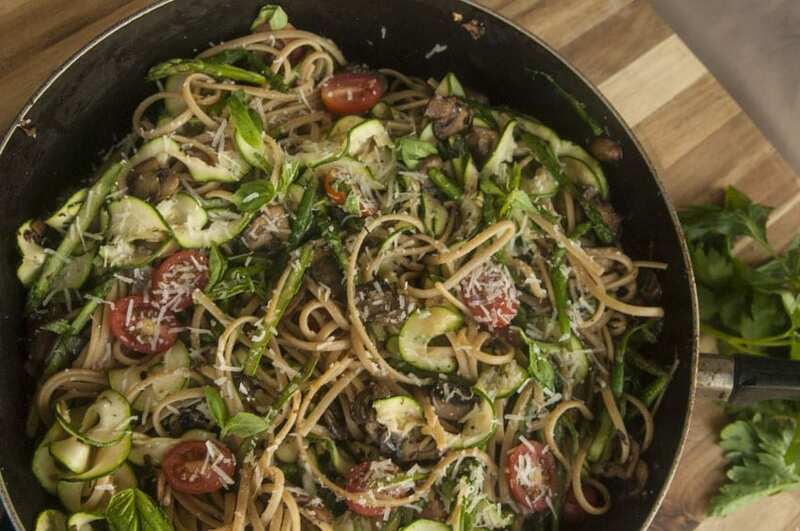 Healthy Pasta Primavera got a summer makeover and it’s oh so nice! Oh my gosh you guys life has been a little crazy, but crazy is good right? I recently transitioned back into my previous role in property management, before I entered the cooking world. Gasp, I know right? Well doing so, is allowing me to focus on my own projects that I am currently working on, so don’t worry I’m still a cooking machine. Just not at 4 in the morning. Anyways, what I love about summer is all of the bright colors that come from all the different produce that are in season. And what better way to showcase the rainbow with none other than a beautiful summer pasta primavera. 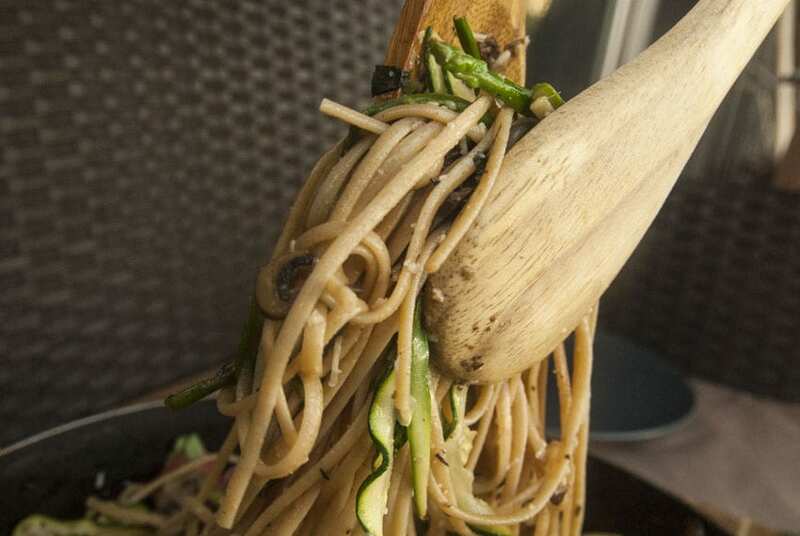 Note: There is no other better way, this healthy pasta primavera is the only way. Whole wheat linguine pasta paired with the crunch of a slightly sauteed vegetable is the perfect way to end your day with your loved ones. Whether or not your loved ones are two glasses of white wine is your business. 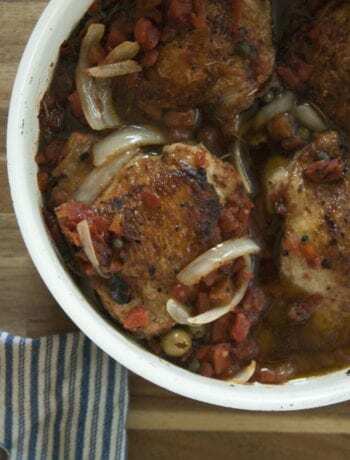 (For one, I don’t judge and for two, they pair with this meal better than the mismatched socks you’re probably wearing). I love carbs, and carbs love me … I think. I know your probably thinking what kind of trap is this? 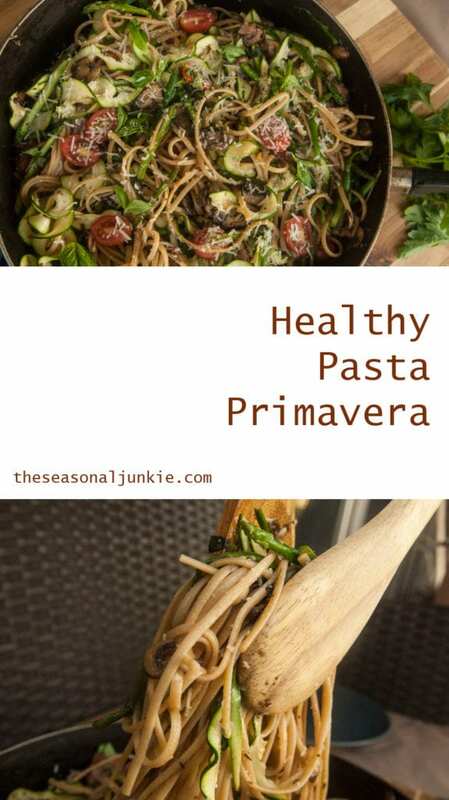 Healthy pasta primavera? How do healthy and pasta go together? Well guys, relax, they do. I know in the diet media world there is always a battle between whether or not something is good and what is a good replacement. Que in the forever limbo between butter and margarine. I’m team butter, obviously, but we will save that convo for another long winded blog post. At the end of the day, you need carbs. Carbs feed your brain, and your brain obviously needs to eat. Now I’m not suggesting that you go buy a loaf of wonderbread and eat the whole thing. 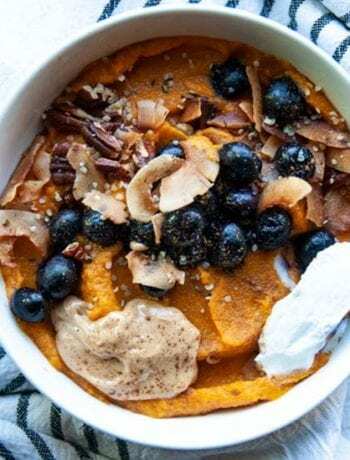 But, whole grains contain B Vitamins, they help stabilize your blood sugar by providing a steady increase versus the quick spike you get from sugars, contain fiber, and they help with digestion. 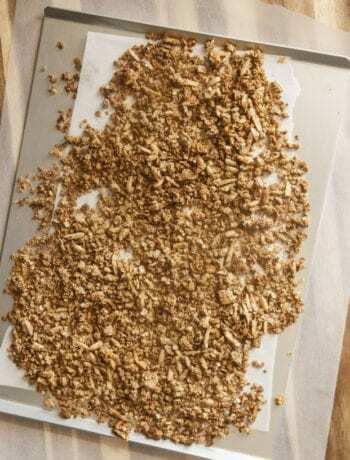 So stick with whole wheat, multi-grain, and my favorite: some of the sprouted bread selections and your body will thank you. Well, let’s get this show on the road. 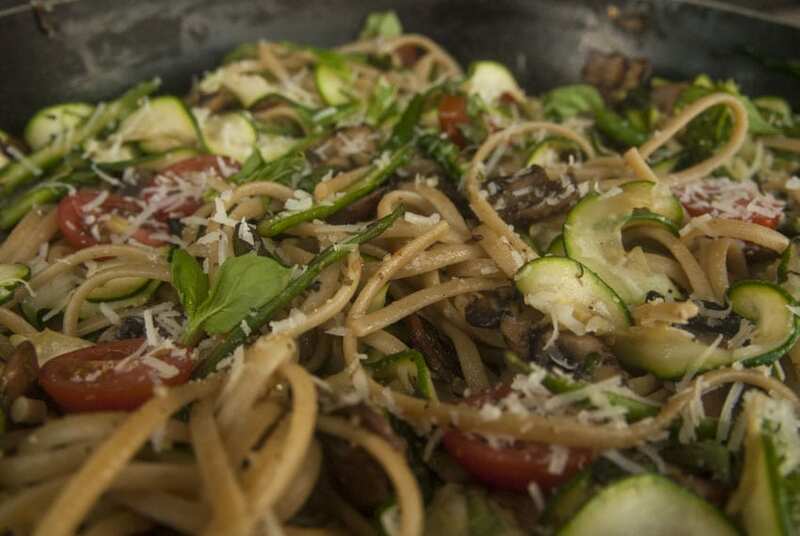 Enjoy this healthy pasta primavera.